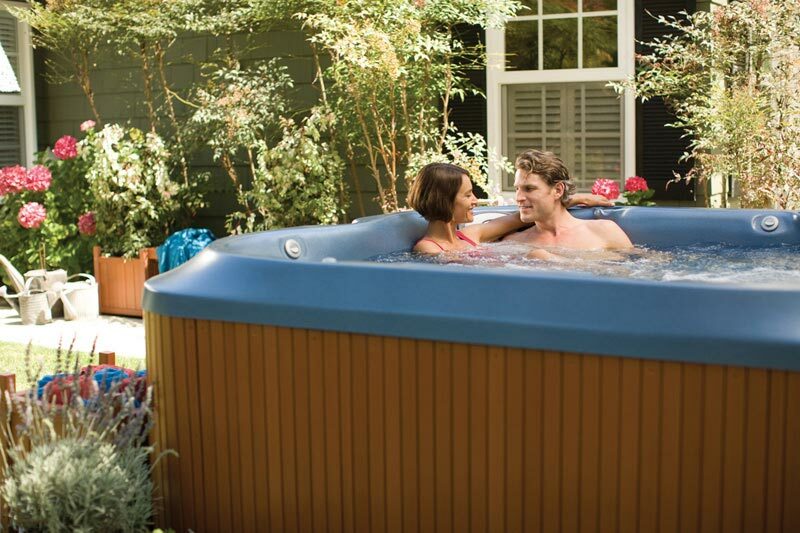 To move in ways that play to all of the senses in the J-365™ spa. Listen to the sounds of the Water Rainbow waterfall. 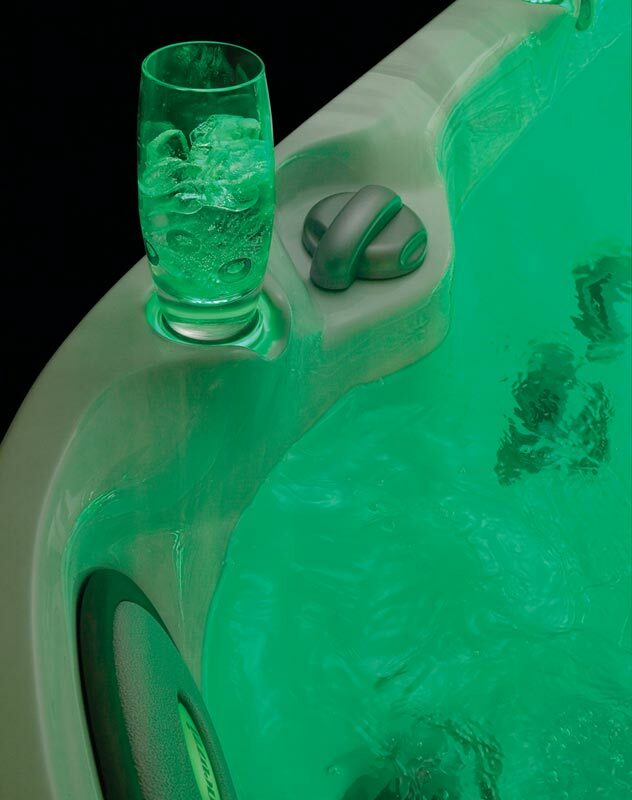 Give in to the mesmerizing sight of cascading water, backlit with brilliant color. 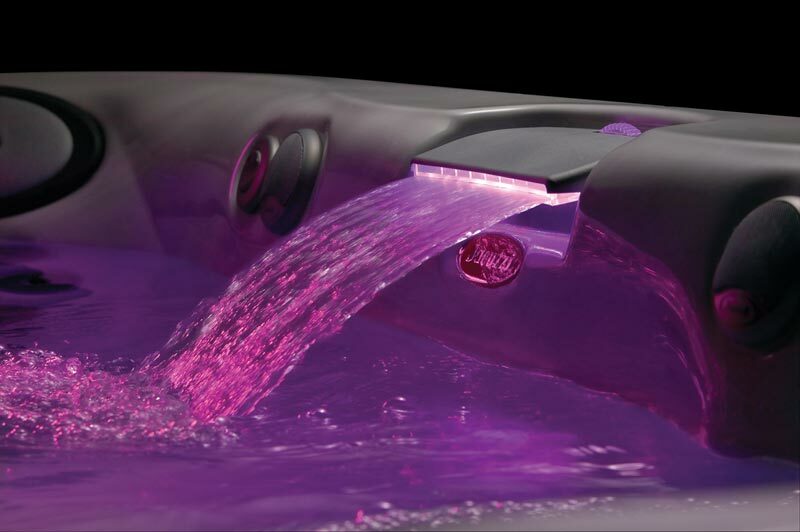 Let the water flow through your fingertips as you relax in the J-365 spa PowerPro® Therapy Seat, with foot mound jets within easy reach. 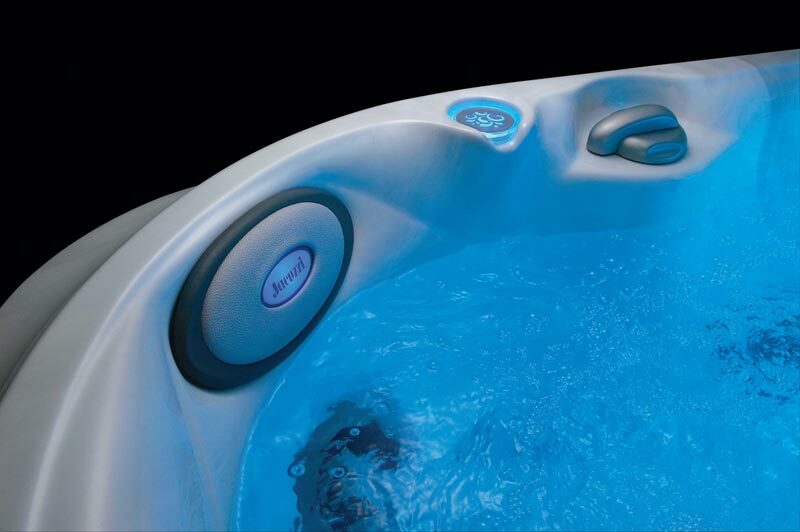 Sculpted seats and pillow headrests support your body, therapeutic jets speed the healing of sore muscles and relieve tension, and buoyancy lightens the burden on aching joints. 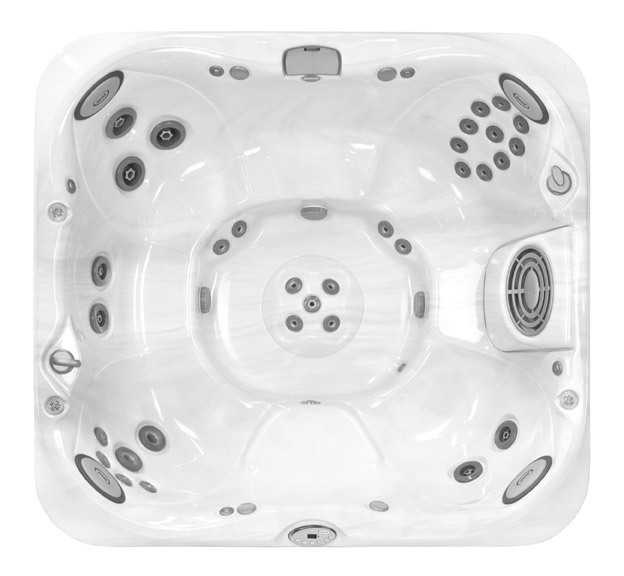 There is a sense of being comforted in body and spirit in the J-365 spa from Jacuzzi.